We are a registered web hosting company in the state of Gujarat, India and we accept PayPal, Credit/Debit Cards, AliPay, PayTM, NetBanking and Wire/Bank Transfer. Our TOS is here and our AUP is here . 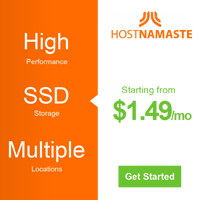 HostNamaste is a company that was started in March, 18 and has continued to offer hosting ever since. We came into this business because we saw a lack of support in the hosting business. 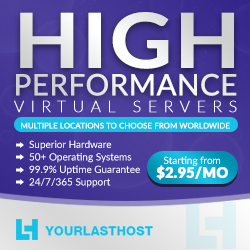 We have used numerous other well known hosting providers and they left us dissatisfied. We felt a need for a hosting provider that was not only capable of understanding your needs, but had the resources to provide you support throughout. Therefore, HostNamaste was born out of necessity. We are focused primarily in the Low Cost Market, but it is our philosophy to provide quality services while within the Low Cost market’s price range. While this is certainly the goal of many Low Cost hosting companies, we have been quietly providing our services for a few months now with no complaints or issues whatsoever. We are particularly proud to offer many features that cannot often be offered by many companies, including 24/7/365 support, a 30-day money back guarantee, RAID-10 disks and dual processor nodes. HostNamaste - A Reliable Indian Hosting Company You Can Trust.